Pietrain Pigs are from Pietrain, France - a small village of the Walloon municipality of Jodoigne. They became popular in the 1950s during the difficult period of the swine market in 1950-51. Pietrain swine were imported into Germany in 1960-61. The main breeding areas in that country are Schleswig-Holstein, Nordrhein-Westfalen, and Baden-Wurttemberg. 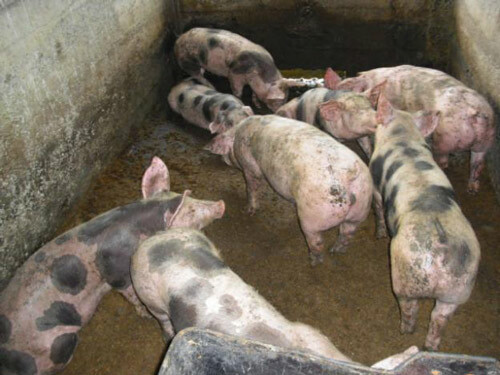 They are commonly used in crossbreeding in Germany to improve the quality of pork produced. The breed was improved by researchers at the Universite de Liege in 2004.